San Francisco is famous (or infamous, depending on who you ask) for its unique topography. It’s home to some of the steepest hills you’ll find in any metropolitan area. Though it’s not ideal for those who hate walking or drive stick shift, the hilly landscape allows for picturesque views throughout the entire city. When thinking about San Francisco view spots, Twin Peaks is often the first place that comes to mind. Skip the crowds, noise, and cars and go to Corona Heights instead. You’ll have to walk a little bit to get to the view, but it’s well worth it. Take a look for yourself! The Buena Vista has stood the test of time, serving San Francisco since the early 1950s and becoming a local institution in the process. Stationed across the street from the Hyde Street cable car turnaround at the intersection of the Pacific Heights and Fisherman’s Wharf neighborhoods, it’s a perfect location for locals and visitors alike. Its old-timey feel and the classily-dressed staff is an ode to a standard of customer service that’s been neglected in recent decades. The most well-known item on the menu at The Buena Vista is their world-famous Irish coffee, perfect for a freezing summer afternoon in San Francisco. Better yet, it’s one of the only restaurants in the city where you can order an alcoholic beverage to-go. Order your Irish coffee to-go and watch the fog roll in across the street at Aquatic Park. Roxie’s is a mom-and-pop deli and corner store located in the Outer Mission loved by locals for its sandwiches. Get the Meatball Mafia or Simon’s Special on Dutch Crunch. Trust me. Just do it. I’ve already said too much. Clarion Alley, located in San Francisco’s Mission District, is a sanctuary for San Francisco’s street art maintained and protected by local artist collective Clarion Alley Mural Project. This alleyway spans only a couple blocks, but it’s an important symbol of defiance against the social and economic shifts in San Francisco. Clarion Alley Mural Project’s vision is “to be a space where culture and dignity speak louder than the rules of private property or a lifestyle that puts profit before compassion, respect, and social justice”. In this alleyway, you’ll see an explosion of colors and politically charged artwork. Next time you’re in San Francisco, make sure you take the time to see the murals in this community-run gem. The Fillmore is a historic auditorium famous for the role it played during the transformative years of 1960s counterculture era. World-famous music promoter Bill Graham booked countless shows at The Fillmore giving musicians such as the likes of Carlos Santana and Janis Joplin the platform to grow from local artists into worldwide cultural phenomenons. Walking into the Fillmore, it’s apparent you’re stepping into a hallowed venue. Promotional posters from concerts from all across its expansive history decorate the walls of its interior and its renowned intimate setting is highlighted by its famous chandeliers, carpeted dance floor, and incredible sound system. Still today, musicians and bands of all different levels of fame all seek to play The Fillmore to follow in the footsteps of their idols of yesteryear. FiDi POPOS…the what now? I’m talking about the Financial District’s (FiDi) collection of privately owned public open spaces (POPOS), obviously. Because San Francisco is an incredibly compact city, there’s a lack of open green space for its inhabitants to enjoy. To combat this, the property owners of many of Downtown’s private office buildings are now mandated by the city government to make some space in their buildings accessible to the public. These spaces are known as POPOS. There are a total of 20 POPOS in Downtown SF. POPOS comes in all shapes and sizes: rooftops, gardens, plazas, rooftop garden plazas… You name it. Since many of these open spaces are located on the roofs of many Financial District buildings, you’ll be sure to get some awesome views while discovering a little bit of serenity. Candlestick Point, nestled in the most Southeast corner of San Francisco, is most famous for being the location of Candlestick Park, the stadium the San Francisco Giants and Santa Clara 49ers (sorry, I’m still bitter) called home for decades. Generations of San Franciscans remember Candlestick for its near-freezing temperatures and whipping winds, but despite its imperfections, locals hold this location in high reverence. Candlestick Park is now long gone, but there’s still plenty to do in the area. 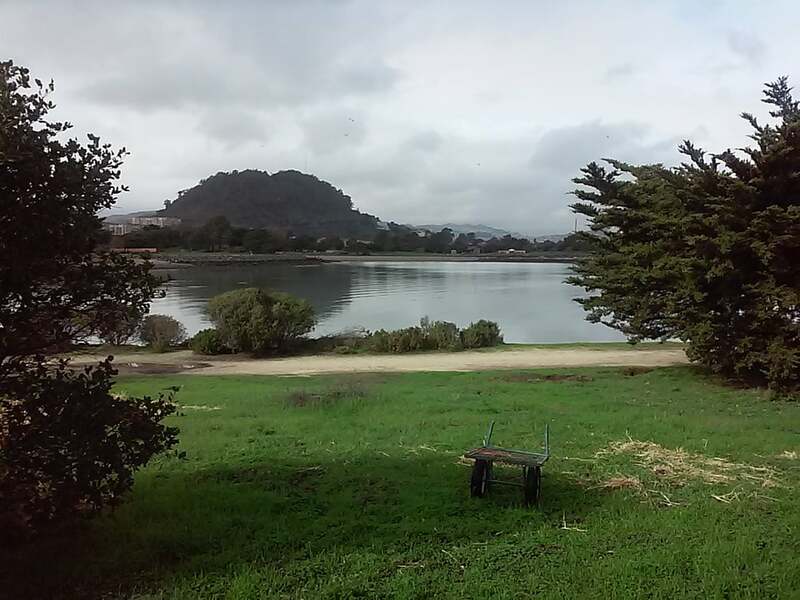 Candlestick Point is also home to Candlestick Point State Recreation Area, which has miles of waterfront paths, scenic views, and picnic areas. With its fairly secluded location, “The Stick” is one of the few spots in San Francisco where you can get away from the busy city life while still staying inside city limits. When you walk into Vesuvio Cafe, you’ll wonder if you took a wrong turn and walked into the Twilight Zone instead. From floor to ceiling you’ll see countless historic artifacts and pieces of art plastered all over the walls, each item telling its own story. Famed Beat Generation authors like Jack Kerouac and Allen Ginsberg often frequented Vesuvio when they weren’t spending time at the City Lights bookstore next door. 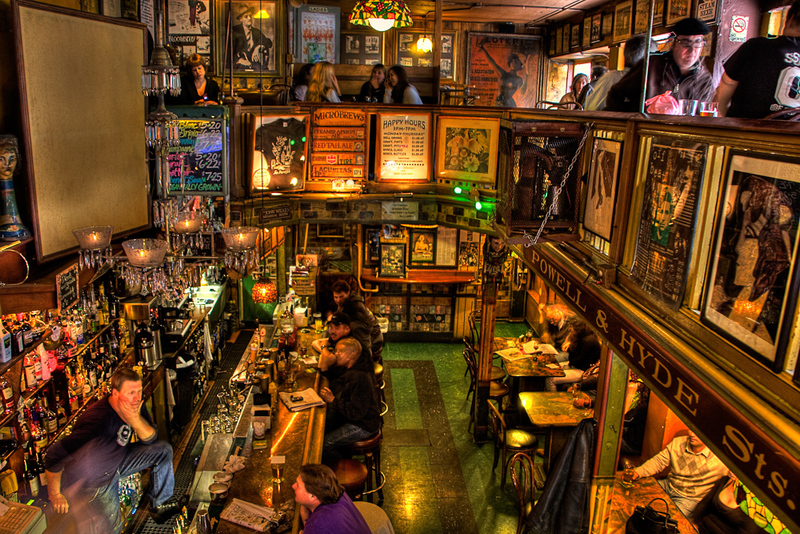 Come here to soak up the atmosphere and to enjoy some of the finest cocktails in North Beach while sitting on the same barstools that local cultural icons once enjoyed. Once you’ve finished up your cocktail at Vesuvio, go ahead and mozy on up the street to Golden Boy Pizza for a fresh slice of clam and garlic. 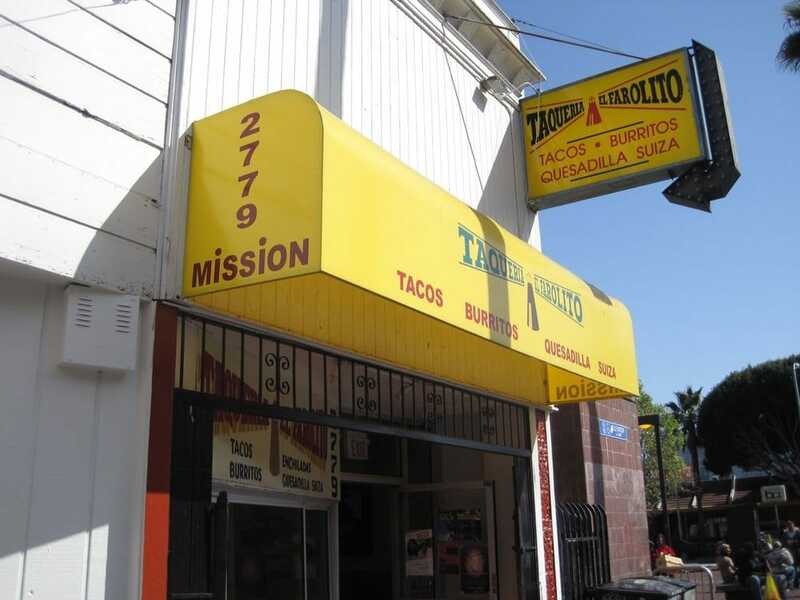 This North Beach staple is a favorite among locals and out-of-towners. 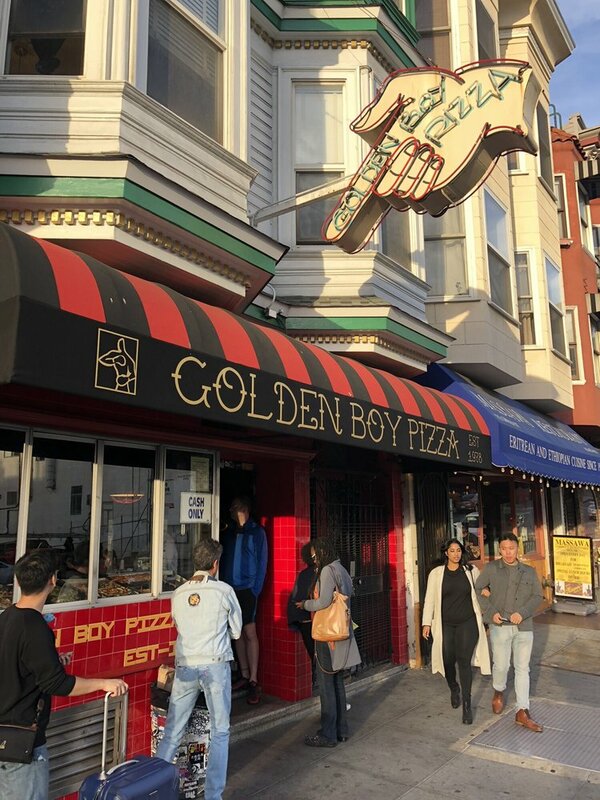 There’s often no seating and you’ll usually need to wait outside to order your food, but once you understand what Golden Boy is all about, standing outside is a minor inconvenience you’ll be happy to encounter.